Unfortunately, the ongoing wildfires in California continued to burn over the weekend, meaning they were the lead story on “Today,” “Good Morning America” and “CBS This Morning” after Friday’s editions that saw one network morning show lead with fires over the Thousand Oaks shooting. 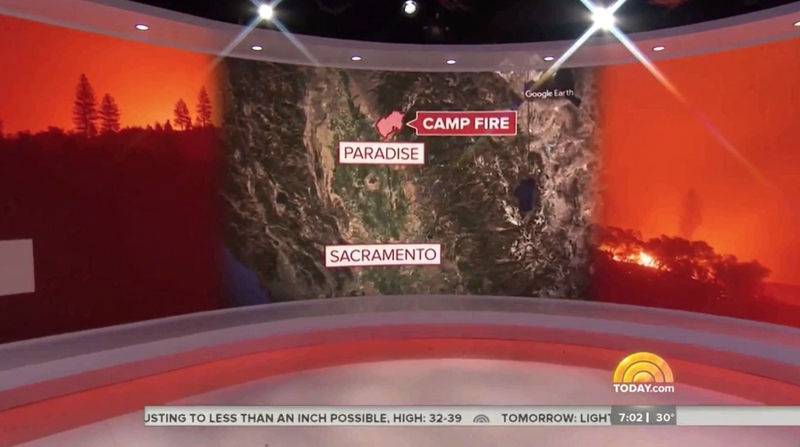 ‘Today’ lead with the story and used its studio’s large video wall to showcase its red and white breaking news background that ‘opened’ to reveal a map of the region flanked by dramatic orange shots of the fire. The segment also included a panoramic view of the region before the handheld camera pulled out wider to reveal three vertical panels with live shots shown on them. 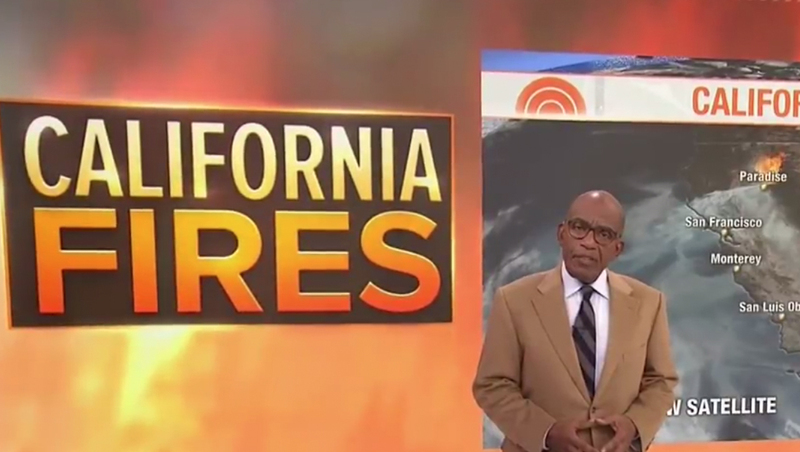 Later in the A block, the show tossed to Al Roker standing next to a bold “California Fires” logotype with orange background that, in turn, featured three panes of weather maps, video and text.